Stylish design offers organization for garments. Black or Mahogany with brushed chrome accents. 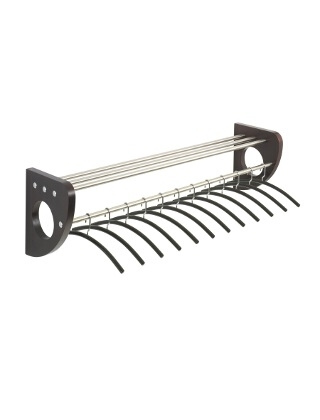 Includes 12 brushed chrome hangers.